We are offering our clients Professional Been (Snake Flute) which is made from big pumpkin, decorated with sea shells and old Indian coins. Wooden Flute offered comes in antique look and finish. 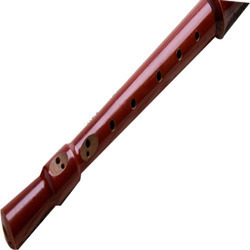 Our company holds vast experience in this domain and is involved in offering 6 Hole Bamboo Flute. Our company has been successful in winning appreciation from the clients as one of the most prominent names in supply of Flute. We are engaged in offering a wide assortment of Crafted Flutes. This is also known as bansuri and murali. Our Flutes are made up of high quality material. We are a top-notch organization, engaged in providing Flute. From our wide consignment, we are affianced in supplying Flute. Banking on our We are a top-notch organization, engaged in providing Flute. Backed with dexterous professionals, we offer the optimum quality of Wooden Flute for our esteemed patrons. Our offered product can also be availed from us at low costs.